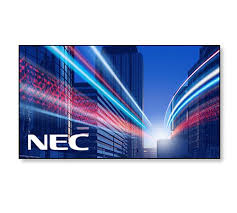 NECâ€™s video wall solutions ensure the big impressions you desire. Effortless readability with precise colour reproduction and high contrast ratios will catch attention. An advanced set of intelligent features make the displays easy to install and operate, and drastically reduced maintenance times are supported. MultiSyncÂ® X555UNV is the perfect choice for flexible video walls in corporate applications, retail environments, quick service restaurants and all other public spaces. Get the attention you desire! With the WOW factor from NEC!